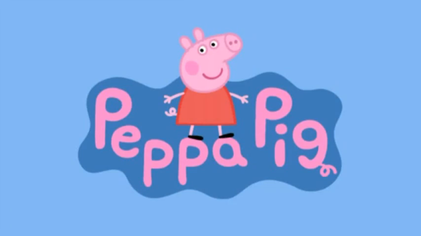 Peppa Pig – that cheeky, loveable little piggy who fires up the imaginations of our little ones (and keeps us big ones sane) is coming to Sky High! For one weekend only Peppa will be visiting the park for some toddler parties (for all bouncers aged 5 and under), meeting all the excited little faces and taking lots of photos for you to keep forever. We’ll have Peppa’s favourite music turned up loud (is there anything better to kick off the weekend than Birdy Birdy Woof Woof?). There’ll be prizes for the best costume/accessory/T shirt (fancy dress is optional) and the best bouncer. Free mini slushies and a Peppa Pig cake for every bouncer. And best of all, Peppa herself* will be making a special appearance at the park to meet your little ones for cuddles. Book your tickets now – select ‘parent and toddler sessions’ then select 10th or 11th February at 9am or 10am. Or just call us on 01273 580029. *Peppa Pig herself is busy. We will have a Peppa stand in from Twilight Sussex Mascots coming in to say hello instead.